C-DAC PG Diploma Admission 2019 Syllabus Check Here. C DAC Common Admission Test (C-CAT) Will be Held on 09th December 2018 to 16th December 2018 For Admission of 2019 February Batch. CDAC (C-CAT) Registration For All PG Diploma Courses Has Been Started. Every Year, C-CAT Usually Conducts in June For August Admission And December For February Admission. Interested Candidate Can Check All the Details And Apply For this Admission Before Last Date. Last Date of Apply Online. 03/12/2018. Last Date of Pay Examination Fee. 03/12/2018. Date of Publish Admit Card. 06/12/2018 to 13/12/2018. Date of CAT (Common Admission Test). 09/12/2018 to 16/12/2018. Mode of Payment. Candidate Need to Pay Through Net Banking or Debit Card And Credit Card. Post Graduate Diploma in Geoinformatics (PG DGI). Candidate Must Have Passed Post Graduate Degree in Applied Sciences/ Geography/ Geology/ Physics/ Computational Sciences/ Mathematics or allied areas With 50% Marks. Post Graduate Diploma in Advanced Computing (PG- DAC). Candidate Must Have Passed Graduation in Any Discipline of Engineering OR Candidate Having MCA, MCM OR Candidate Must Have Passed Post Graduate Degree in Physics/ Computational Sciences/ Mathematics or Allied Areas. OR Post Graduate Degree in Management With Graduation in Science/ IT/ Computer Application With 50% Marks. Post Graduate Diploma in Mobile Computing (PG-DMC). Candidate Must Have Passed Post Graduate Degree in Mathematics or allied Areas or MCA With 50% Marks. Post Graduate Diploma in Internet of Things (PG-DIoT). Candidate Having Common Eligibility Criteria or MCA With 55% Marks. Post Graduate Diploma in Biomedical Instrumentation & Health Informatics. Candidate Having BE in Biomedical Relevant Field With 55% Marks. 6. Online Application Can be Submitted on or Before Last Date. C-DAC PG Diploma Admission 2019 Online Form Registration. Click Here. 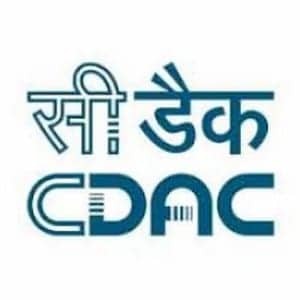 C-DAC PG Diploma Admission 2019 Online Form Log In. Click Here. C-DAC PG Diploma Admission 2019 Online Form Notification. Click Here.